ORANJESTAD, Aruba, Aug. 22, 2018 /PRNewswire/ -- Following the overwhelming success of the inaugural vow renewal ceremony held in 2017, Aruba touted hundreds of amorous lovebirds from around the world on the panoramic, powdery-white sands of Aruba's world-famous Eagle Beach, on Wednesday, Aug. 22, 2018. A global event, couples traveled to the romantic island from Germany, Italy, Brazil and all over the United States, eager to renew their I Do's at sunset. More than 500 guests gathered for the iconic celebration, solidifying Aruba as the primary Caribbean destination to say "I Do" times two. A historical milestone for the One happy island, the ceremony provided newlyweds and spouses with the opportunity to participate in the Caribbean's largest vow renewal ceremony for the second year in a row, exclusively in Aruba. "As one of the most romantic islands in the world, Aruba continues to attract an increasing number of lovebirds to our beloved destination. 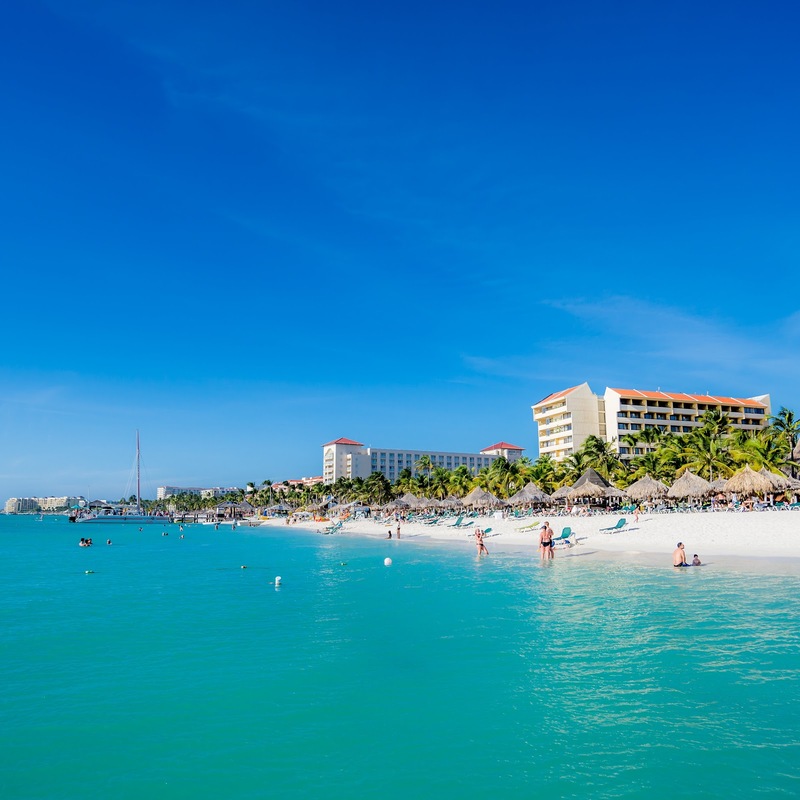 With countless award-winning beaches to choose from, Aruba is a staple landmark for visitors traveling to the Caribbean," said Ronella Tjin Asjoe-Croes, CEO of Aruba Tourism Authority (ATA). "The energy was palpable and truly magnetic as we witnessed hundreds of couples, young and old, publicly renew their commitment to one another in paradise. We wish each of our guests an endless supply of happiness and lifetime of love and look forward to welcoming them back to our One happy island." Among the 500+ participants were travel influencers and celebrity couples – including Lydia and Doug McLaughlin, famously known from Bravo TV's "The Real Housewives of Orange County" and Ashley and J.P. Rosenbaum from season seven of "The Bachelorette." "There's nowhere else we'd rather 'renew our I Do's' than in Aruba, it's absolutely breathtaking," said Ashley Rosenbaum. "We're overjoyed to have shared this experience with the company of our children and know this moment in time is one we'll treasure for the rest of our lives. The One happy island is truly magical." The enchanting evening displayed twinkling lights, tropical décor and chic ambiance, inspired by real destination weddings in Aruba, and featured elegant white linen with pops of vibrant Caribbean colors. Couples relished in the opportunity to celebrate their love on the world's No. 4 beach – while enjoying champagne, hors d'oeuvres, local music and Carnival-like festivities. Aruba's complimentary vow renewal ceremony occurred Wednesday, Aug. 22, 2018 from 5:30-7:30 pm on Eagle Beach. For more details: www.aruba.com/arubaido. As one of the most revisited destinations in the Caribbean, Aruba — One happy island — is an island of contradictions, where pristine turquoise waters collide against the desert-like terrain of the north shore; where peace and relaxation coexist with wild and rugged adventures; where Dutch influence meets American ease and where a diverse history parallels a bright future. Nestled in the southern Caribbean outside the fringes of the hurricane belt, the island is just a two-and-a-half-hour flight from Miami, a four-hour flight from New York City and boasts year-round cooling trade winds with an average 82-degree temperature. Aruba offers beach-lovers, adrenaline junkies, relaxation-seekers and everyone in between a slice of paradise with breathtaking beaches, a booming culinary scene of over 300 restaurants with 25+ located ideally on the water, world-famous festivals and events, exciting land and water activities, art galleries and museums, sumptuous spas, championship golf, exclusive shopping and signature experiences such as cooling off in Conchi, Aruba's natural pool— accessible only by foot or off-road vehicle. With all-inclusive options, boutique properties in charming Eagle Beach, high-rise branded resorts in Palm Beach and cosmopolitan city hotels in Oranjestad, the island of contradictions provides the perfect getaway for both first-time guests and loyal visitors. As is our tradition, the first Donkey Calendar 2019 is officially given to a famous Aruban on World Animal Day, October 4th. This year it was Angela Tiemens, who is well-known for her radio program `Angela’s Happy Hour’ on Fresh FM. But besides that Angela is very busy with her Facebook account `Lost and Found’. On Lost and Found, pet owners are hopefully be reunited with their lost furry (or non-furry) friends. Angela is a true animal lover and that is why she is a more than worthy recipient of the calendar. She was very pleased indeed to receive the calendar during her live program. 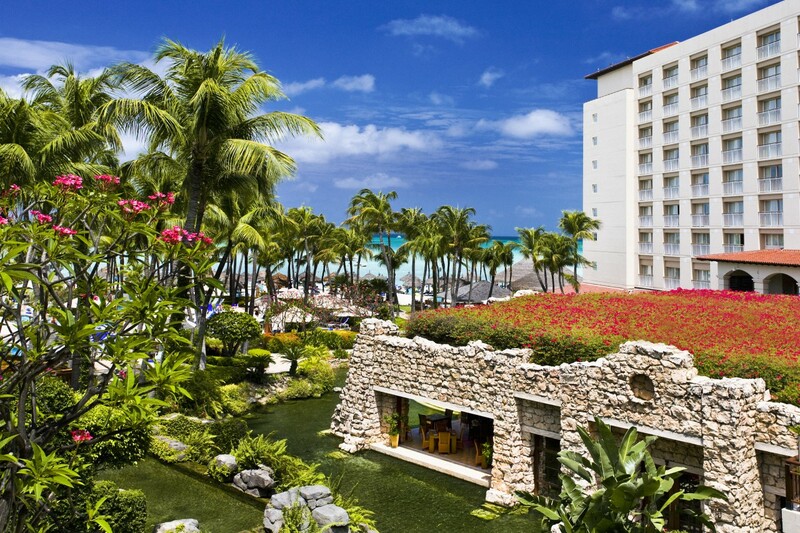 Whether traveling to Aruba with friends, family, or a romantic partner, the One Happy Island has the perfect accommodations to suit your needs.